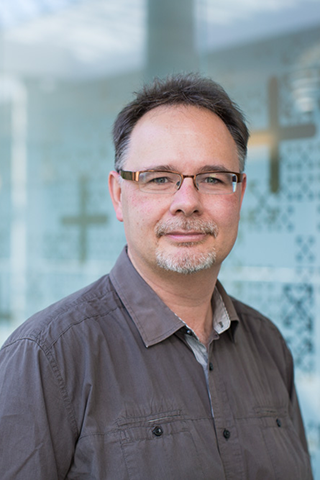 Kees van Gool is a Deputy Director and Associate Professor at the Centre. He has extensive experience in international, national and regional health policy research. He is part of a leading team working on the financing and economics of primary care. Kees has previously contributed to and managed a variety of projects including work conducted for the Commonwealth Department of Health, MBF and the Australian Senate. He was a lead investigator in two independent reviews of the Extended Medicare Safety Net conducted for the Australian Government. He is currently a chief investigator at the Centre for Research Excellence on the Financing and Economics of Primary Care (REFinE), funded by the Australian Primary Health Care Institute (APHCRI) . He has worked extensively on cancer care, screening, cystic fibrosis and policy evaluation. He has quantitative skills in micro-economic modelling and has established a track record in using linked data. In 2011 he completed his PhD at the University of Technology Sydney, looking at the out-of-pocket costs faced by patients under Australia’s Medicare system. Kees has previously worked at the Department of Health, NSW Health and the OECD where he led a project on international health system performance and policy analysis on cardiovascular disease care and outcomes. BACKGROUND:Scabies is a common dermatological condition, affecting more than 130 million people at any time. To evaluate and/or predict the effectiveness and cost-effectiveness of scabies interventions, disease transmission modelling can be used. OBJECTIVE:To review published scabies models and data to inform the design of a comprehensive scabies transmission modelling framework to evaluate the cost-effectiveness of scabies interventions. METHODS:Systematic literature search in PubMed, Medline, Embase, CINAHL, and the Cochrane Library identified scabies studies published since the year 2000. Selected papers included modelling studies and studies on the life cycle of scabies mites, patient quality of life and resource use. Reference lists of reviews were used to identify any papers missed through the search strategy. Strengths and limitations of identified scabies models were evaluated and used to design a modelling framework. Potential model inputs were identified and discussed. FINDINGS:Four scabies models were published: a Markov decision tree, two compartmental models, and an agent-based, network-dependent Monte Carlo model. None of the models specifically addressed crusted scabies, which is associated with high morbidity, mortality, and increased transmission. There is a lack of reliable, comprehensive information about scabies biology and the impact this disease has on patients and society. DISCUSSION:Clinicians and health economists working in the field of scabies are encouraged to use the current review to inform disease transmission modelling and economic evaluations on interventions against scabies. among the low-income patients but are less relevant for the high-income patients. Copyright © 2016 John Wiley & Sons, Ltd.
Economic theory predicts that changing financial rewards will change behaviour. This is valid in terms of service use; higher costs reduce health care use. It should follow that paying more for quality should improve quality; however, the research evidence thus far is equivocal, particularly in terms of better health outcomes. One reason is that 'financial incentives' encompass a range of payment types and sizes of reward. The design of financial incentives should take into account the desired change and the context of existing payment structures, as well as other strategies for improving quality; further, financial incentives should be fair in rewarding effort. Financial incentives may have unintended consequences, including rewarding hospitals for selecting patients with lower risks, diverting attention from the overall patient population to specific conditions, gaming, and 'crowding out' or displacing intrinsic motivation. Managers and clinicians can only respond to financial incentives if they have the data, tools and skills to effect changes. Australia should not adopt widespread use of financial incentives for improving quality in health care without careful consideration of their design and context, the potential for unintended effects (particularly beyond their immediate targets), and evaluation of outcomes. The relative cost-effectiveness of financial incentives compared with, or in concert with, other strategies should also be considered. Cystic fibrosis (CF) is a progressive disease with treatments intensifying as patients get older and severity worsens. To inform policy makers about the cost burden in CF, it is crucial to understand what factors influence the costs and how they affect the costs. Based on 1,060 observations (from 731 patients) obtained from the Australian Data Registry, individual annual health care costs were calculated and a regression analysis was carried out to examine the impact of multiple variables on the costs. A method of retransformation and a hypothetical patient were used for cost analysis. We show that an additional one unit improvement of FEV1pp (i.e., forced expiratory volume in 1 s as a percentage of predicted volume) reduces the costs by 1.4 %, or for a hypothetical patient whose FEV1pp is 73 the cost reduction is A$252. The presence of chronic infections increases the costs by 69.9-163.5 % (A$12,852-A$30,047 for the hypothetical patient) depending on the type of infection. The type of CF genetic mutation and the patient's age both have significant effects on the costs. In particular, being homozygous for p.F508del increases the costs by 26.8 % compared to all the other gene mutations. We conclude that bacterial infections have a very strong influence on the costs, so reducing both the infection rates and the severity of the condition may lead to substantial cost savings. We also suggest that the patient's genetic profile should be considered as an important cost determinant. Objectives To critically examine the economic evidence regarding cystic fibrosis (CF) carrier screening and to understand issues relating to the transferability of international findings to any national context for policy decisions. Methods A systematic literature search identified 14 studies (out of 29 economic studies on CF) focusing on preconception or prenatal screening between 1990 and 2006. These studies were then assessed against international benchmarks on conducting and reporting of economic evaluations, costing methodology used and focusing on the transferability of the evidence to national contexts. Results The primary outcome measures varied considerably between studies and there was considerable ambiguity and variation on how costs were estimated. The Incremental Cost Effectiveness Ratio (ICER) and net savings, for preconception and prenatal screening were inconsistent and varied significantly, even after adjusting for timing and exchange rates. Differences in screening participation rates, reproductive choices, test sensitivity, cost of test and lifetime cost of care make up a large part of the ICER variations. This study describes health care decision makers' perceptions about decision making processes for the introduction, diffusion and prioritisation of new health technologies at the regional and institutional level. The aim of the study was to aid the design of a new process of technology assessment and decision making for the Northern Sydney and Central Coast Area Health Service (NSCCAHS). Twelve in-depth, semi-structured interviews were conducted with senior health service managers, nurse managers and senior medical clinicians in the NSCCAHS. Interviewees described prioritisation and decision-making processes as "ad hoc". Safety and effectiveness were considered the most important criteria in decision making but budgetary consideration often drove decisions about the uptake and diffusion of new technologies. Current dissatisfaction with decision- making processes creates opportunities for reform, including the introduction of consistent local technology assessments. Hall, JP & van Gool, K 2016, 'Ageing, entitlement and funding health care' in Kendig, H, McDonald, P & Piggott, J (eds), Population ageing and Australia's future, The Australian National University, Canberra, pp. 261-279. Fiebig, D, Van Gool, K, Hall, J & Yu, S 2017, 'Provider moral hazard and insurance eligibility: The case of Australia's Medicare safety net program [Conference Presentation]', iHEA Boston World Congress, Boston, USA. Hall, JP & van Gool, K 2015, 'Ageing, health care expenditure and entitlement (invited)', CEPAR Annual Workshop on Health and Ageing. Van Gool, K 2015, 'What does a stronger Medicare look like, and are current signals taking us there? ', Melbourne Institute Public Economic Forum, Canberra. Hall, JP & van Gool, K 2015, 'The impact of ageing on health care costs (invited)', CEDA, Sydney. Van Gool, K 2014, 'The rise and fall in out-of-pocket costs for GP visits: An analysis of the Strengthening Medicare reforms', CAER 11th Annual Summer Workshop, Coogee. Wong, C., Greene, J., Van Gool, K. & Dolja-Gore, X. 2014, 'The rise and fall in out-of-pocket costs in Australia: an analysis of the Strengthening Medicare reforms', 2014 PHC Research Conference, Canberra. Reeve, R.D. & Van Gool, K. 2011, 'Lifetime losses: the many costs of child abuse', iHEA 8th World Congress, Toronto, Canada. Reeve, R.D. & Van Gool, K. 2011, 'The effect of child abuse on long term health and wellbeing: evidence from Australia', Mental Health Services Research Seminar: Achieving Outcomes in Mental Health Reform, Melbourne University. Reeve, R.D., Van Gool, K. & Gu, Y. 2011, 'Modelling long run costs of child abuse', CAER Summer Workshop in Health Economics, Sydney. Gu, Y., Van Gool, K. & Viney, R.C. 2011, 'Cystic fibrosis: towards a better understanding of treatment patterns, costs and outcomes', iHEA 8th World Congress, Toronto, Canada. Gu, Y., Van Gool, K. & Viney, R.C. 2011, 'Cystic fibrosis in Australia: cost of illness and determinants of cost', 33rd Australian Conference for Health Economists, Melbourne. Van Gool, K. 2011, 'Out-of-pocket costs and Medicare: The Howard years', CAER Summer Workshop in Health Economics, Sydney. Viney, R.C. & Van Gool, K. 2011, 'Confounding in datasets', Technical Symposium of the 3rd Joint Medicines Policy Conference, Canberra. Van Gool, K., Savage, E.J., Viney, R.C., Knox, S.A. & Jones, G. 2011, 'Organised Session on the Medicare Safety Net', Australian Conference of Health Economists, Melbourne. Van Gool, K., Savage, E.J. & Viney, R.C. 2008, 'An analysis of the Medicare Safety Net', UTS Health Research Showcase, University of Technology, Sydney. Out-of-pocket health expenditures in Australia are high in international comparisons and have been growing at a faster rate than most other health costs in recent years. This raises concerns about the extent to which out-of-pocket costs have constrained access to health services for low income households. Using data from the ABS Household Expenditure Survey 2003-2004, we model the relationships between health expenditure shares and equivalised total expenditure for categories of out-of-pocket health expenditures and analyse the extent of protection given by concession cards. To allow for flexibility in the relationship we adopt Yatchew's semi-parametric estimation technique. This is the first detailed distributional analysis of household health expenditures in Australia. We find mixed evidence for the protection health concession cards give against high out-of-pocket health expenditures. Despite higher levels of subsidy, households with concession cards do not have lower out-of-pocket expenditures than non-cardholder households except for the highest expenditure quintile. Cards provide most protection for GP out-of-pocket expenditures. © 2008 Economic Society of Australia. Bridges, J.F., stewart, S., King, M.T. & Van Gool, K. 2001, 'Understanding the effects of a portfolio of medical interventions', 17th Annual meeting of the International Society of Technology Assessment in Health Care (ISTAHC), Philadelphia, USA. Bridges, J.F., stewart, S., King, M.T. & Van Gool, K. 2001, 'Portfolio theory and the evaluation of public health interventions', The Proceedings of the Joint Statistical Meetings, American Statistical Association, Atlanta, Georgia. Lancsar, E., Van Gool, K., Viney, R.C. & Hall, J.P. 2001, 'Funds pooling in Australia: diving into the deep end', 2nd New Zealand Australia Health Services & Policy Research Conference, Wellington, NZ. Van Gool, K., Lancsar, E., Viney, R.C. & Hall, J.P. 2001, 'The Australian health care system: Where does it hurt? ', 2nd New Zealand Australia Health Services & Policy Research Conference, Wellington, NZ. Lemmon, E, Woods, MC & Van Gool, K CHERE 2018, Palliative care in residential aged care: Identifying and funding palliative care needs in Australia, Sydney. Lemmon, E, Woods, MC & Van Gool, K 2018, Palliative care in community care: Identifying and funding palliative care needs in Australia, Sydney. Van Gool, K. & Bridges, J.F. CHERE 2000, Cost effectiveness study of nutrition interventions used in the prevention of coronary heart disease, CHERE Project Report No 11, Sydney. Van Gool, K, Norman, R, Delatycki, M, Hall, JP & Massie, J 2011, 'Understanding the costs of care for cystic fibrosis: an analysis by age and severity. CHERE Working Paper 2011/1', CHERE Working Papers.